At LUPICIA, our mission is to offer the freshest and best quality teas possible, always striving to deliver new varieties and flavours from all over the world. 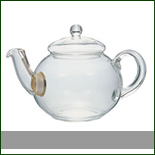 We also have a large range of gift items, and to be honest, all of our products make great gifts! Gifts for your partner, special friend, family member or work associate, we've got you covered. And don't forget, there's no harm in spoiling yourself every now and then! 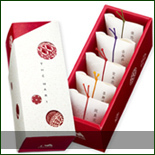 Being a Japanese founded and owned company, you can rest assured of our utmost attention to overall quality, packaging, as well as our personalised gift wrapping service. 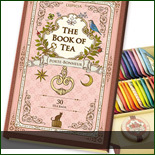 Boasting over 400 varieties, LUPICIA is clearly a haven for those passionate about tea. Though extensive in selection, shopping online is easy as you can browse and search according to a range of categories including type, region, origin and flavour, as well as keyword search. 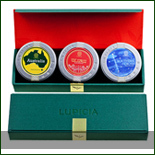 In addition to all the classic teas LUPICIA is world renowned for, we also offer an eclectic range of unique and rare blends such as Grapefruit Green, Mango Oolong and Sakura Vert to name just a few. All our loose-leaf teas come pre-packed in special nitrogen vacuum-sealed bags to maintain their freshness. 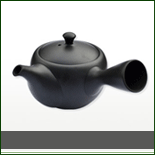 Once opened, we recommend you store your tea in an air-tight container. Alternatively, we offer our unique original tins with all of our loose leaf teas. 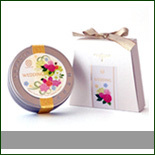 Teas packaged in our tins make an ideal gift, too! 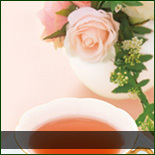 What makes LUPICIA tea so special? 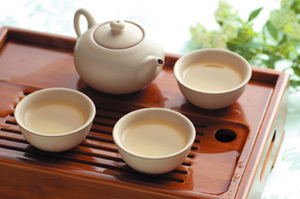 All these factors combine to give different teas their individual and distinctive flavours. 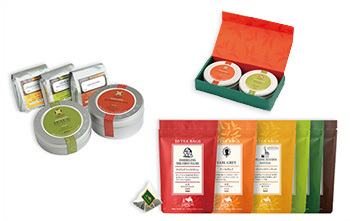 The premium quality of the teas we select is based on our strict commitment to deliver only the very best. 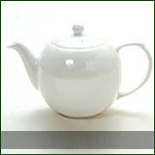 We maintain this commitment by carefully controlling our production process, including using our own highly experienced buyers who check the quality of tea at the source before it is imported. After we receive the imported teas at our distribution centre, they are prepared and packaged on the same day of arrival. 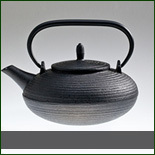 Our skillful and creative tea blenders are extremely passionate about their craft. 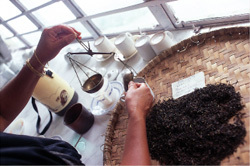 They are the reason behind why we have such a great variety of originally blended teas for you to enjoy. If you are in Melbourne, we encourage you to visit us at our store in the city centre. Otherwise, please browse our online store, and experience for yourself all that we have to offer.